Discussion in 'Staff Applications' started by SourPatchSkidz, Apr 16, 2019. Disclaimer: I was given permission by staff to use the same application because, the stated reason of its denial was "Not reflecting self well in-game". My Minecraft username is currently SourPatchSkidz. I used to go by the name DuckyOnQwack and also some other names (in the link below). My timezone is currently EST but, my family is moving soon so may result in a change. I am currently 14 but turning 15 on June 28th. No, I am not staff on any other servers as I think it would interfere with me being staff on this server if given the opportunity. Yes, I do have discord and can get any other social media platform if asked. My full discord name is SourPatchSkidz#1292. This name may be subject to change later on. Yes, i do have a working microphone and wear it at all times when gaming. Yes, if I needed to record videos I would use obs which is a recording and broadcasting program, or other recording softwares to prove what people are doing wrong when they are punished, or record videos for my staff series. It could also be used for trailers for new dimensions. Yes, I have eclipse on Jupiter which I am very active on, and legend rank on Neptune which I am also, very active on. Hoping to get a rank on mars soon. I am most active on the Jupiter dimension and skyblock is second, as I just started skyblock and I am starting to enjoy it. Even though I am most active on those dimensions, I would be active on all dimensions to make sure everyone is following the rules, to get the most out of my staff rank, and be able to help everyone. These times may be subject to change in the future, that said I can contribute multiple hours a day to the role (see below). Yes I have been punished on a couple different minecraft servers. The one I remember the most is FaithfulMC which I talked about in my last application so, I will talk about a different one this time. Badlion, a pvp, uhc, hunger games and minigame server was very popular before I was banned. I am unaware about how it is doing now because I was permanently banned so I deleted it off my server list. The day I got banned was for using xray on their uhc server. 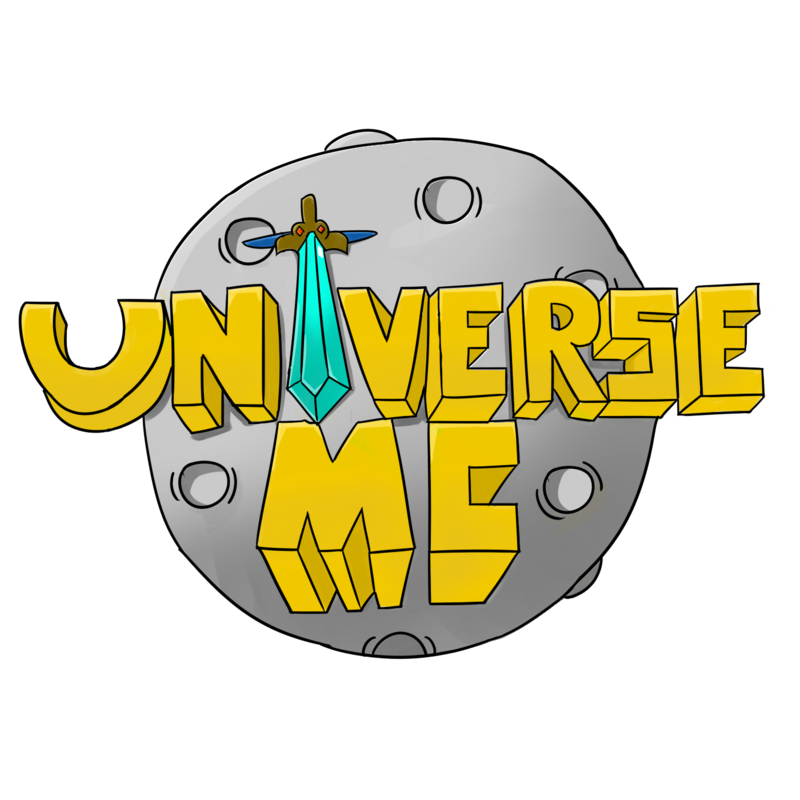 I love uhc because it brings a whole new aspect to the game and I love the feeling of always having to watch out because you could get attacked at any moment. I've always thought that hackers had an easy win, so I wanted to try it out for myself to know what it feels like(this was my first time hacking). When I got into the game with the hacked client I used xray to find gold to make golden apples, diamonds for armor, and other resources. It just so happened that an admin was in the same uhc game with me and alerts were popping up in their chat saying that I found diamonds, then more and more appeared. Then what I assume happened next is he started spectating me to see my mining pattern. When I got froze, he told me to get in teamspeak so we could talk about the situation. When I joined he asked if I had a screen share app downloaded, I said no because this was the first time i've been banned and didn't know this was a part of the process. He said I had 5 minutes to download the app or I would be banned. My computer was a very bad low budget PC that took years to load anything so as you could imagine, it took a while to download the app. Furthermore, it was about ¾ done downloading and he said it's been too long and was forced to ban me. I haven't tried getting on the server since because I feel as if I didn't deserve to play on it because of me downloading a hacked client. I was not the most mature kid back then but I feel as if I have matured greatly since then. Whether or not they are well known is irrelevant, it does not matter to me in the slightest if they are well known or not. It would probobly make it worse because these well known players are the face of the server, they are what new players see when they join the server, and if they see them spamming it won’t leave a good impression. Furthermore, if I had muted a well known player I would tell them exactly why they were muted. I would tell them the steps to contact me on discord, and talk about the situation. If they were spamming me I would politely and professionally ask them to stop. If they continued on doing so, I would try to deal with it myself, or get a higher rank staff to deal with it. The thing I am going to talk about believe it or not happened 3 weeks ago(from day of application release). I am currently in the eighth grade and I am going on a field trip to washington dc for 4 days. We are sleeping in hotels with 4 person rooms, so we were asked to pick who we wanted in our groups. I have a main group of friends and an outer group of friends. So, I asked my inner circle of friends if they wanted to be in a group with me, they all said sure so we wrote our names down on a paper and that was that. About 2 periods after we put our names on paper, I overheard one of my friends in my group talking to his girlfriend. I heard her ask him what the groups were and he told them who was in our group. I overheard him say that he didn't want me in the group for reasons i am unaware, whether he doesn't like me or something else, it made me very upset that he would say that and not care whatsoever that i was three feet away from him. (He is in a desk and i am near the outlet charging my school pc). I looked up at him very confused and wondered why he waited until all groups were final to say this. I told him that he should mind what other people think and not wait until after the decision is final to say something. If he would've said something I would have asked one of my outer group of friends to group with me. We got into an argument and he said things about me that made me very upset. It got to the point that I have had enough and I got up and told the teacher. She said she would see if we could rearrange our group. What I learned from this is to not fuel an argument with more arguing and just ignore it or get someone higher than me to help. I do have some experience with leadership of a minecraft server, I made my own server and a few friends joined it. We had loads of fun and I learned all about the commands, how not to favor some players over other players and just leadership skills in general. I have been a mod on another one of my friends servers called PineneedlePVP. He wasn't on very much so he gave me admin and I was basically the co owner of his server. I would host events for the 5 people that were usually in the server like last man standing, and redrover. Even though the server wasn’t that big, it still taught me needed skills to be a good staff member. Even though I have been a mod and owner of other servers, I think I could really help this server and truly make it much greater than it is now. I will, and have devoted days on days of playtime on this server. I have been playing this server for about 2 years now and i’ve seen it go through some tough times, and some really good times, and I really do believe if I was staff I would bring up those good times and put down the bad times. overall I think I would be a great benefit to this already amazing server. Whenever we do group projects at my school, I am usually the group leader. We are doing a group science project about tectonic plates right now, I am the leader and, I am doing the drawings. The group picked me to be the leader on which I’m guessing are my leadership skills. I was also the leader of our group for three days when we went to sixth grade camp (taught us about nature). We were there for three days and my teachers said that I have good leadership skills. I don’t have many hobbies or activities outside of Minecraft but, they still take up a lot of time. Track, which started about 2 months ago, has been going great! We did a 200 meter dash with four other people on my team and I got 29 seconds and 1st place. I also do golf which I am decent at, The farthest i’ve ever hit the ball is about 190 meters (which is pretty good for my age). I did cross-country but the season ended, I am looking forward to the new season as I will be in highschool, and they will push us harder in practice, and I will get to run more which is one of my favorite things to do. First of all, I will message the junior mod straight away about the hacker, because the hacker can damage the servers economy, and just the whole server in general. Second, I would talk to the person blasting the music, while answering everyone else’s questions. If they refused to turn off the music or shut it off I would kick them from the channel or get someone higher ranked to do it. Finaly, I would continue to answer everyone else's questions in the most detail, and the best way I can to help them out. First of all, I don't think you should spam the staff even if they banned someone falsely, second I think if it were truly false, they should send in valid proof of it being false. Back to the question, before any punishments are given I need to make sure that I have proof of them breaking the rules. Furthermore, what I would do is tell the four people that are spamming me, to send in proof on discord or some other platform. If the ban truly was false I would apologize for the inconvenience and hope they can move past the situation. One thing is that I am hardworking, and care about anything I do in life, I try to be the best I can be, and do the best I can at everything. I can be funny, kind, and strict when it comes to people breaking the rules. At my school I got voted as class clown of the year. I like to code and program in my spare time. I built a work pc for my dad because his computer was getting old and I wanted to surprise him for his birthday. Overall, I am a hardworking, caring, and kind person. I am also great at communication and can talk to anyone. I hope you enjoyed reading my application, I hope you have a great rest of your day and thanks for taking your time to read through my application. Hey @SourPatchSkidz, after reading your application, I have come up with a few suggestions. » Become more globally on all servers and platforms such as discord. I have only seen you online one time. » Fix up some grammatical errors. I hope you take my suggestions into consideration. Good luck! SourPatchSkidz and BigBlakk like this. Overall you have some good points. Thanks everyone for suggestions I will try my best to work on them. I would like to first comment on your dedication to the forums, I have seen you on almost (if not all) staff applications putting in your input. Although, I haven't seen you that much in the Discord, or really in-game. I would love to see more of that. Honestly, your application is well done to what I believe. I've noticed you seemed to take other's input, I find that respectable, I did too when applying for helper. SourPatchSkidz and Dorito_ like this. Thank you for this, and I will now be more active in game because state tests are over at my school and I am tying my best on discord and am going to be more active. Hey @SourPatchSkidz, I recommend using slightly darker colours as it is bright. - Dim the colours slightly. - Become more active globally. Apart from that it looks good! Best of luck, Zonira / PakJr. I suggest you adding more detail to your past experiences. Pending - Congratulations, you have made it through to the next stage. In this stage we will be reviewing you on your activity in-game and on our social media sites. Be sure to stay as active as possible and we will review your app again within the next 3-5 days.